Ranveer Singh has set a benchmark for himself as an actor after essaying the rather ‘dark’ role of Alauddin Khilji in Sanjay Leela Bhansali’s magnum opus Padmaavat. Ranveer Singh has set a benchmark for himself as an actor after essaying the rather ‘dark’ role of Alauddin Khilji in Sanjay Leela Bhansali’s magnum opus Padmaavat. The actor received praises from all quarters for his performance in the film. 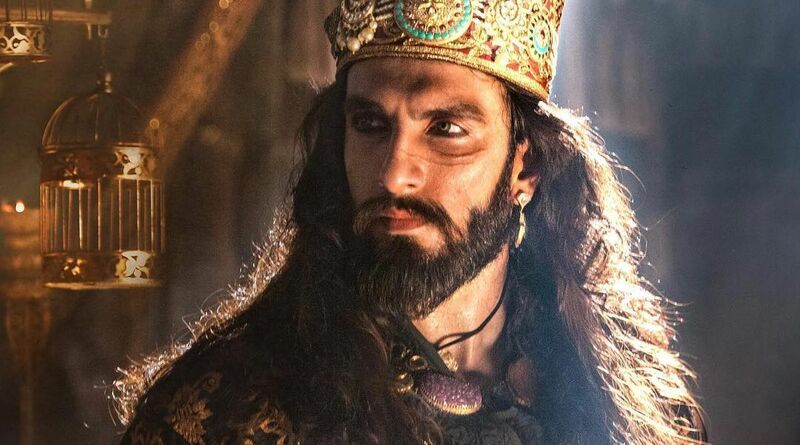 Recently, in an interview to Bollywood Hungama, the 33-year-old actor revealed that he will “probably not” play a dark role such as Khilji any sooner. “Touchwood, I am very blessed that right now, I am going through a very good time. I am very happy and happily married. I am being showered with love and affection from my wife. I am in a very warm and fuzzy, happy space in life,” he added. Ranveer went on to say that he would take some time to give a menacing performance again or might not do such a role at all. “To be honest, when Khilji was offered to me, I was happy even then. But I was prepared to go down that rabbit hole. Now, I am not prepared to do that again because having done that before, I know how deep and dark it is. I don’t want to do that? Not anytime soon and hopefully never. I will do this mercy on myself and not go down that path again,” he chuckled. Ranveer will next be seen playing the character of a street rapper in the forthcoming musical drama, Gully Boy. The film, helmed by Zoya Akhtar, marks the first collaboration of Ranveer Singh and Alia Bhatt on the big screen. It also stars Siddhant Chaturvedi and Kalki Koechlin in pivotal roles.